TOKYO - Oil prices inched up on Tuesday, getting support from a decline in oil exports from OPEC’s second-biggest producer Iraq and a projected extended fall in U.S. commercial oil stocks. London Brent crude for December delivery was up 5 cents at $57.42 a barrel by 0258 GMT after settling down 38 cents on Monday. U.S. crude for December delivery was up 5 cents at $51.95. Iraqi oil exports have fallen more than 200,000 barrels per day (bpd) so far this month, as shipments from both north and south of the country declined. “The market is currently weighing supportive materials more, such as the Kurdistan situation, the slowdown in shale-related (U.S.) rig counts and the possible extension in OPEC (output) cuts,” said Tomomichi Akuta, senior economist at Mitsubishi UFJ Research and Consulting in Tokyo. Crude oil exports through the Iraqi Kurdistan controlled-pipeline to the Turkish port of Ceyhan rose 13 percent to 288,000 barrels per day (bpd) on Monday afternoon, but that was still less than half normal levels due to tensions in the region, a shipping source told Reuters. Iraq could still boost southern exports in the rest of October and plans to do so. Iraqi Oil Minister Jabar al-Luaibi said on Saturday southern exports were increasing by 200,000 bpd to make up for the northern shortfall. U.S. Secretary of State Rex Tillerson urged the Iraqi government and the Kurdistan region on Monday to resolve their conflict over Kurdish self-determination and disputed territories through dialogue. 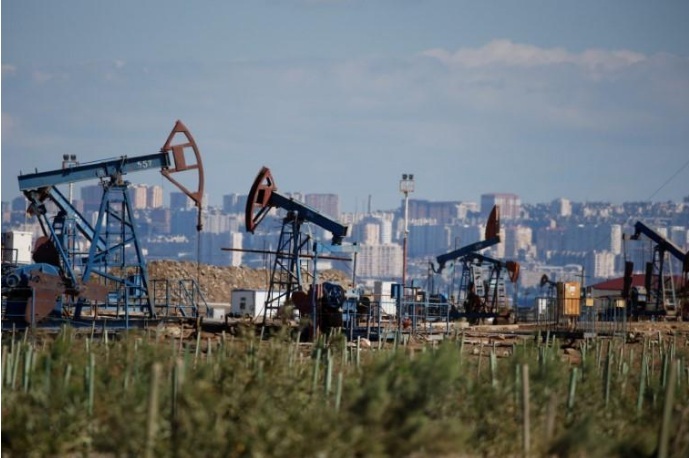 The drop in supplies from Iraq comes as the Organization of the Petroleum Exporting Countries, Russia and other producers are cutting output by about 1.8 million bpd until March 2018 in an effort to drain a glut and support prices. In September OPEC and non-OPEC countries achieved the highest compliance on planned cuts since the deal kicked off in January - at a rate of 120 percent - helping reduce oil stocks further at Organisation for Economic Cooperation and Development nations, OPEC said. Meanwhile U.S. crude inventories likely fell by 2.5 million barrels last week, while gasoline and distillate stockpiles each probably fell by at least 1.5 million barrels, a preliminary Reuters poll showed on Monday ahead of data by the Industry group the American Petroleum Institute later in the day. The U.S. oil rig count fell seven to 736 in the week to Oct. 20, the lowest level since June, Baker Hughes data showed on Friday. Oil prices inched up on Tuesday, getting support from a decline in oil exports from OPEC’s second-biggest producer Iraq and a projected extended fall in U.S. commercial oil stocks. London Brent crude for December delivery was up 5 cents at $57.42 a barrel by 0258 GMT after settling down 38 cents on Monday.